An innovative and breath-taking way of displaying your wedding rings, this gorgeous and astounding jewelry display case is undoubtedly the most perfect choice for a ring bearer! The box is entirely made out of wood and it can also be customized with your name, initials, message and so on! It features a truly beautiful wood pattern and it offers a lovely rustic vibe. It is ideal for people with a penchant for rustic and vintage look. The box has an extremely natural and non-processed look so it’s perfect if you prefer a more accurate look too! Its design is so unique that it is definitely going to catch everyone’s eyes and leave a long-lasting impression on your good style. 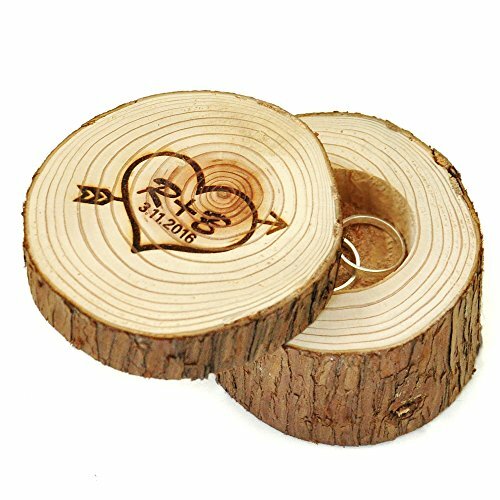 The middle of the log features a finely craved curve where you can easily fit both of your wedding rings with ease and you will also be able to use this wonderful item of display for other purposes as well, even as an item of decoration! It is a beautiful and unique method of having your wedding rings displayed on your special day and it will surely prove to be very satisfying and useful! It is a fine combination between style, grace, efficiency, originality and smart design and it is going to help you store, organize and show off all sorts of items of jewelry without a problem and in an elegant and chic way as well! 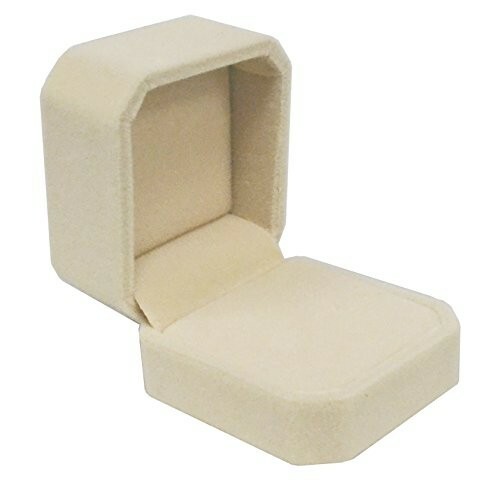 The dimensions of this wonderful item are the following: 3.9 x 3.9 x 3.1 inches.